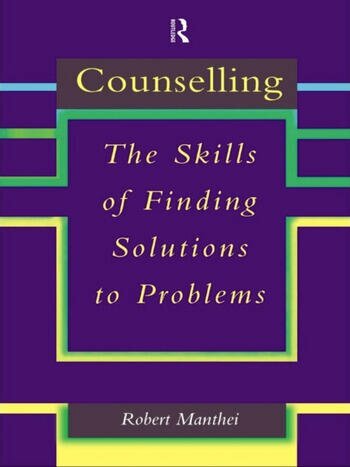 Developing the ideas of his best-selling textbook Counselling: The Skills of Problem-Solving, Robert Manthei shows how to define and solve problems. Step-by-step he explains how to work in a planned way to enhance the client's self-understanding and increase their ability to find solutions to other problems in the future. Robert Manthei is Senior Lecturer in Counselling, at Christchurch University, New Zealand. He is a former rehabilitation counsellor, correctional counsellor and social worker and has written extensively on counselling and counsellor education.